Maggie and I had a lot of fun speaking little phrases in Hebrew (shes obviously better than I am.. I mean, wayyy better but whatever), probably because we are weird and also enjoyed speaking French to each other in passing when we roomed in New Orleans. When I wrote this guide I had her say a word, I wrote down my best phonetic spelling and then she told me how the word was really spelled. I am a nerd and thought this was the most fun game ever. Use one, two or a few.. maybe you’ll even find yourself inspired to learn Hebrew. Either way, these phrases are awesome and you’re welcome. Slicha (slee-hha) – excuse me. Todah (toe-dah) – thank you. Bevakasha (buh-va-ka-sha) – please/thank you. Efo (ay-foe) – where is? Hashbon (hash-bone) – the check/bill. Manishma (Mah nish mah) – what’s up? In Israel the official languages are Hebrew and Arabic. English may or may not also be an official language, but that’s just a technicality. Many people in Israeli speak English and it is used fairly frequently in signage and publications. Just don’t count on all the street signs being in English all the time. Thirty three spoken languages have been reported in Isreal and the most widely spoken unofficial language is Russian. Citizens of the U.S., Canada, Australia, Ireland, New Zealand and the U.K. are granted a visa on arrival at no charge when they arrive in Israel. A tourist visa is good for 3 months but beware that different borders apply varying exit fees when you depart. Jerusalem has been conquered and reconquered many times. It houses some very holy places for Judaism, Christianity and Islam. Although majority of the population of Israel is Jewish, you will find people of many faiths, heritages and religions living in or visiting Israel. Shabbat, the day of rest taken from sundown Friday to sundown Saturday, means that many businesses will close. Try not to schedule travel on these days or you may have to pay for a more expensive private taxi or sherut. Israel is very modern but in certain areas such as Orthodox Jewish neighborhoods, Arabic neighborhoods and religious sites you may need to dress more conservatively. 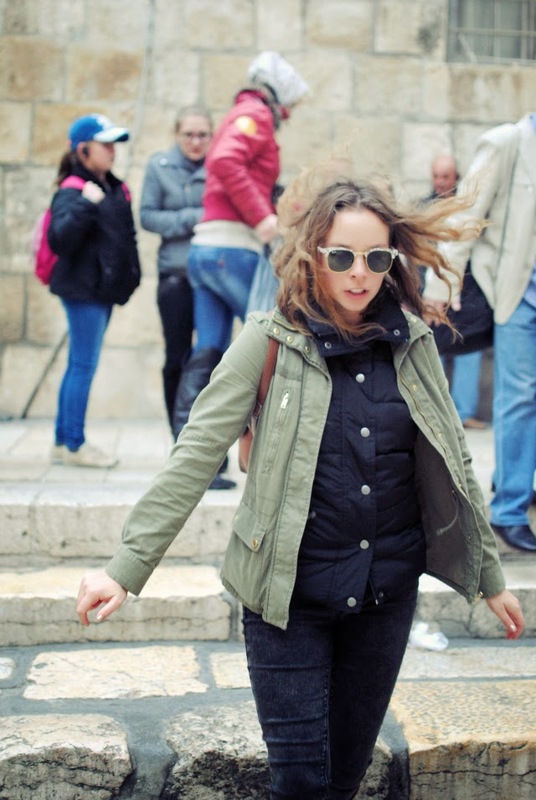 Israel is a small country but the climate and weather still varies throughout. In the northern regions, along the Mediterranean, you will experience hot and dry summers and cool, rainy winters. In the desert it gets very hot during the day but quite cold at night. In the summer, some cities like Tel Aviv get hot and humid. In the winter the climate is mild and sunny or cool and rainy. 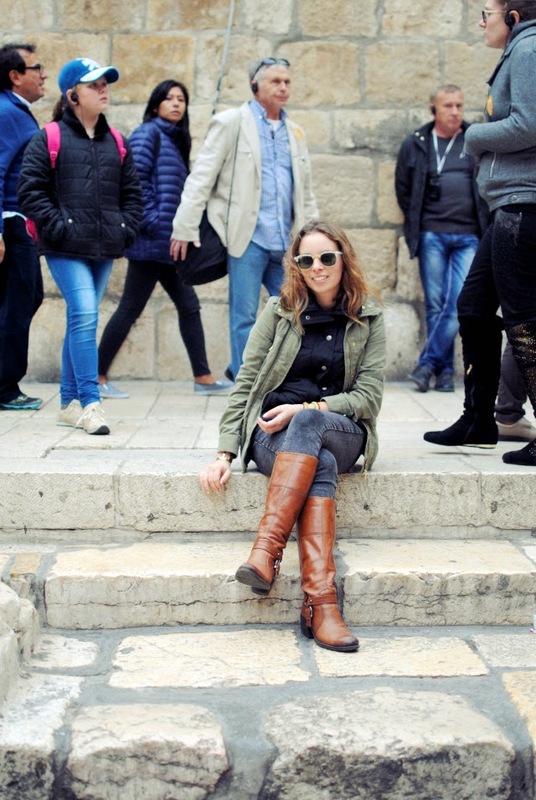 It;s pretty easy to get around Israel whether you want to hop on a bus, experience a sherut or hire a taxi. Americans will need an adapter to use their electronics in Israel. Many hotels and hostels offer free wifi and Tel Aviv even has a fairly reliable free network that picks up throughout the city. The Egged buses even offer a decent signal. I struggled to get a connection in Nazareth. Coffee shops are usually the best bet for good wifi. The official currency is the Israeli New Shekel (NIS or ILS) and one shekel is currently about 26 cents. To account for the exchange while I was traveling I would divide any price by 4 to approximate the cost in American dollars. ATMs are readily available in the main destinations like Tel Aviv and Jerusalem and usually offer and English language option. Tipping 10% at restaurants is generally the norm. You can always leave more if the service was exceptional or you like your server. Many restaurants keep kosher meaning you won’t be able to order cheese on your hamburger (even at some McDonald’s locations). TEL AVIV – Tel Aviv is just a short distance from Ben Gurion airport and offers a modern city on the beach. Although steeped in history like the rest of Israel, Tel Aviv is known for its young, vibrant atmosphere. JERUSALEM – Jerusalem is also close to Ben Gurion airport, so if Tel Aviv isn’t your first stop in Israel, Jerusalem probably is. It is well known and famous for being the holiest city in the world. Regardless of what you believe or practice, there is enough history here to interest anyone. Outside the old city, Jerusalem offers a beautiful blend of old meets new in its style and atmosphere. NAZARETH – Nazareth is a popular stops for Christians because it is the home of Jesus. It boasts a large Arab population and winding stone streets through the old city. It is a good place to start off a tour of Northern Israel. HAIFA – Haifa is a beautiful city nestled along the Mediterranean Sea. It is also known to be a college town. The views from the Baha’i gardens alone are worth the visit. DEAD SEA – The Dead Sea is on just about every traveler’s bucket list for obvious reasons. It’s the lowest point that you can visit on Earth and did I forget to mention that it’s so salty… you. float. Oh right, you already knew that which is why it’s already on your bucket list. MASADA – Due to proximity, if you make it to the Dead Sea you have to stop at Masada too. Better yet, beat the desert heat by hiking the snake path to the top before sunrise. You will get an epic view of the Dead Sea and Judean Desert before that float. EILAT – Eilat is a popular beach town on the Red Sea at the very bottom tip of Israel. I visited in winter so I had to give this a miss but it’s popular for snorkeling and scuba diving among other typical beach vacation activities. ROSH HANIKRA – Rosh Hanikra was my favorite spot in Israel. Do yourself a favor and book a day tour that makes a stop here. White chalk cliffs, turquoise water, a cable car down to hidden grottoes. Enough said. SAFED – Safed is in the upper Galilee region and it is the birthplace of Kabbalah. When I asked for recommendations for my trip to Israel, I heard rec after rec that I had to visit Safed from friends, former travel buddies, birthright alumni, etc. I wasn’t able to make the stop but I heard there’s great jewelry shopping here so check it out and let me know! What sorts of details would you like to know about a destination before you arrive? If I’m leaving anything out that you’d like me to include next time just let me know in the comments below! Wondering why I visited Israel? Read this post here.